How to place Photos slideshow on the flipping page on MAC? There must many illustrations on the flipping book generally. You would get an idea when people click on demonstration image they would get approach to a series of photos for viewing further. From single photo to multiple images, readers can access to the future content to know more. 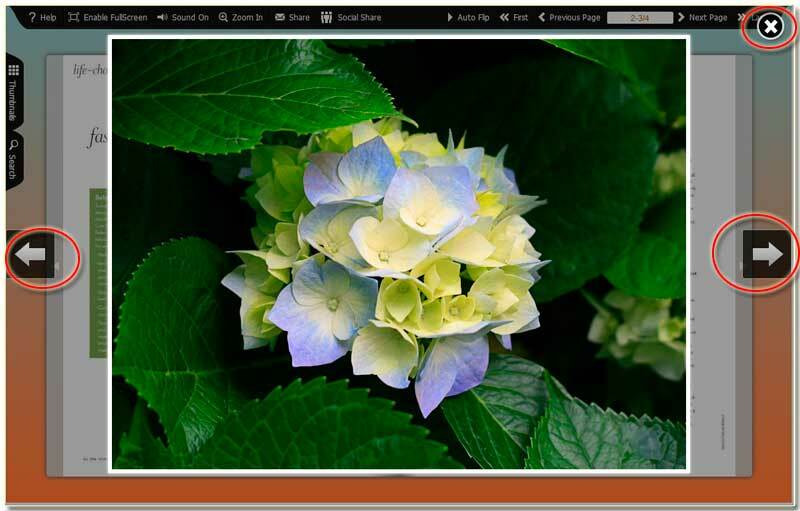 FlipBook Creator Professional for MAC allows you embed photo slideshow in the flipping pages. Step1: Launch FlipBook Creator Professional for MAC, import a PDF files in. 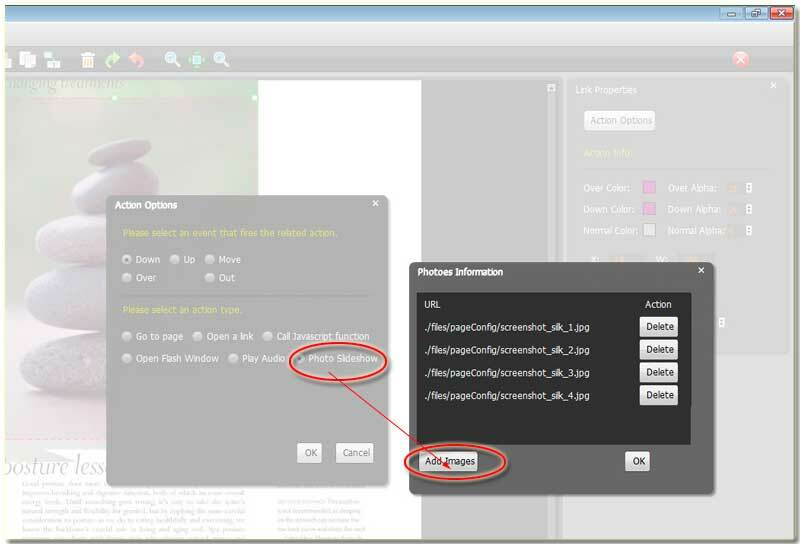 Step2: Click the button Edit Pages on the top menu line to open the flipping pages editing interface beginning to embed photo slideshow. Step3: click Insert --> Insert Link, and then circle an rectangle area on the selected page, and then click the button Action Options on the right edit window. Step4: Click the checkbox Photo Slideshow to open the image adding window, and then select photos from local disk, finally click OK.
Now, we come back to the flipping page editing interface, you should click File --> Save and Exit. At this time, you can preview it in the main software interface and then click the photo slideshow shadow to open the slides. And then click the previous and next button for viewing. If want to stop, please click the right-top icon cross.